Eternal love, respect, care, purity and friendship are perfectly expressed through flowers. A bouquet of flowers is the best gift that you can gift to anyone. 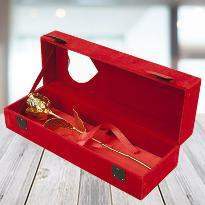 In fact, you can send flowers to Chandigarh to uplift the mood of your loved one. The fragrance of flowers offers a feeling of pleasure and changes a bad mood into a happy one. Amaze your near and dear ones by sending flowers on their birthday or anniversary. 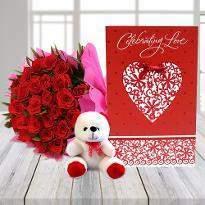 Flower delivery in Chandigarh would be a perfect way to wish your loved ones instantly. The feelings of love can't be explained only with words. Some feelings are hard to define with words. If you are facing the same then opt for online flower delivery in Chandigarh as flowers are the best way to express the emotions. The enthralling beauty of flowers and the fragrance of the flowers are all set to melt the heart of the receiver. You can never go wrong with a bouquet or bunch of flowers. At Winni, you can shop for roses, gerberas, carnations, lilies and many more. 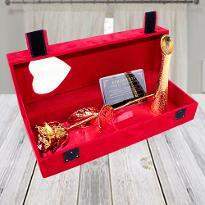 Special arrangements are also available for your loved ones. Flowers are the best gift for every celebration and occasion. Order and send to the doorstep of your loved ones. Go ahead and place your order now to cheer your loved ones on their special day. 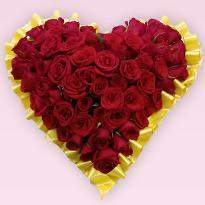 We also provide online Valentine's day flower in Chandigarh so you can steal the heart of your sweetheart by presenting a wonderful bouquet of flowers. 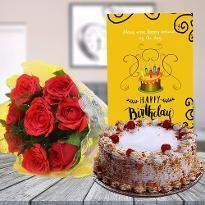 The greatest online flower delivery service in Chandigarh has proven to be boon when talking about how to delight near and dear ones on special days or occasions. Online flowers are the perfect way to exhilarate those whom you care deeply. 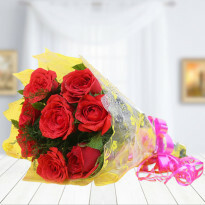 By having a good option of flower delivery, you can easily order and send flowers to Chandigarh from anywhere. The incredible beauty of flowers adds warmth and happiness in any relationship. 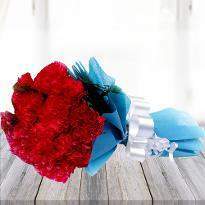 So, if you are seeking for something beautiful and overwhelming gift then flowers bouquets are the perfect choice. 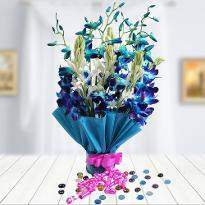 Winni provides a wide collection of online flowers which suits for every occasion. 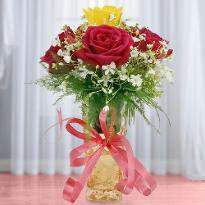 Gerberas, carnations, lilies, roses and orchids are available in different colors as well as in special arrangements. You can easily shop for bunches, bouquets or basket as per your preference. Our impeccable delivery service will brighten the day of your near and dear ones. 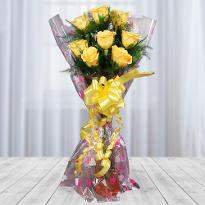 So, rely on Winni and place your order for flowers now for any occasion be it birthday, Valentine's day, rose day etc. 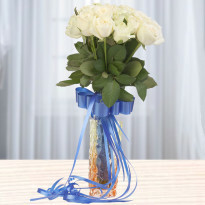 I make an order for white roses for my mother in Chandigarh. 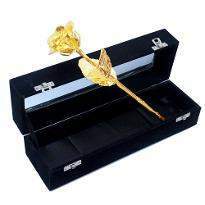 winni online flower delivery is the superb delivery services. My mum just loves the flowers it was totally awesome and fresh. I will definitely order more items from winni now. Thanks a lot. 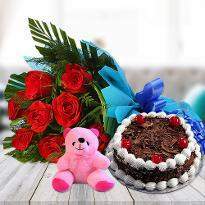 I order flowers and cake for my wife in Chandigarh. She really love flowers so i decided to choose both the items for the best surprise. The delivery was very nice and on time. Hats off to winni for the best delivery. I will be your regular customer now. Thanks a ton. 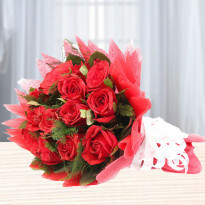 I ordered red roses on this new year for my wife to best wishes on new year day. I must say the flowers were totally fresh and awesome. It was very properly arranged and the decoration and arrangement was superb. My wife did like the flowers very much. Thanks to winni. It was very rainy day and my mother in law birthday too. I was very worried how to place order. 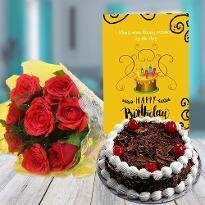 One of my friend told me about winni online cakes and flowers experience and i decided to order online. I choose basket of red and white roses. It was very properly delivered and made my day. The flowers were too fresh. I ordered flowers for my senior in Chandigarh for his welcome in office. 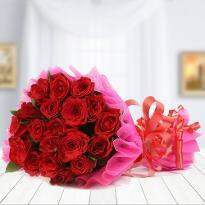 I was so easy to order online flowers in Chandigarh through winni. I made last minute sameday delivery flowers and it was amzingly delivered to the right place. Thanks winni for delivering fresh flowers. It was same as shown in picture. I order flowers for my mum on her 40th birthday. 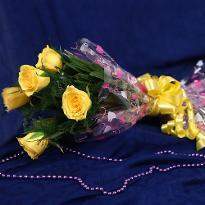 I decided to choose 100 yellow roses bunch for her. It was midnight delivery and the delivery person find the address on the right time. It made my day. Thank you winni for delivering the special flowers for my mother. 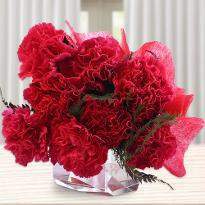 I order red flowers for my friend staying in Chandigarh. It was her birthday and i was totally confused which flowers should i choose. 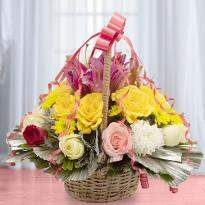 But suddenly i saw occasions category and i feel very relaxed and order flowers for her. After delivery she send me pics of flowers and i was so surprised to see such an amazing presentation of fresh flowers. I want to thank winni for such an amazing delivery of fresh flowers. You guys are amazing. My parents are very happy with the cake and flower in Chandigarh. 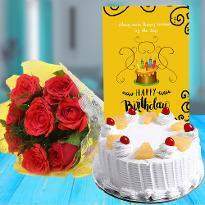 winni online cake and flower delivery in Chandigarh is the best service I have ever found. Best of luck guys for your future. I will defiantly recommend your service to all my close friends. Thanks a ton. 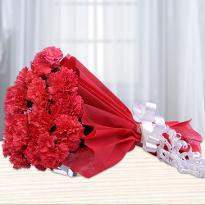 I ordered Divine beauty red flowers for my girl friend living in Chandigarh. It was 200 red roses delivery at her office. This surprise was the best surprise she like till now. I was happy that I paid to such a reliable website. Prices were very affordable as compared to other online websites. Thank you so much winni for such an amazing flowers. All the very best for your future. High standard flowers delivery. 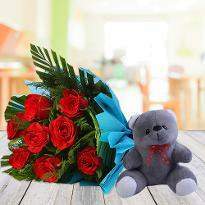 I was amazed with the standard of online flowers delivery in Chandigarh. Winni did a great job. I have experienced countless website for online flowers, but this one is the best. I have no words to praise. I am speechless and even I share my whole story with my cousins, friends and relatives. Other website didn't delivered so fresh and big stem flowers. Thanks to winni. I received very Pretty arrangement of flowers from my parents on our first anniversary. I was shocked how my parents order because they have never use online website for ordering cakes and flowers. Such a nice website and flowers looks so pretty. I thank my father and want to thank winni also for helping my parents to order online. I really proud of my parents choice. Winni service is great. Thanks a ton. Wow this superb awesome site never ordered cakes online and i was double minded but later gave it a shot simply awesome hats off to winni team and delivery team keep continue and i wish you all the best and success for future thank you once again you guys made my day.